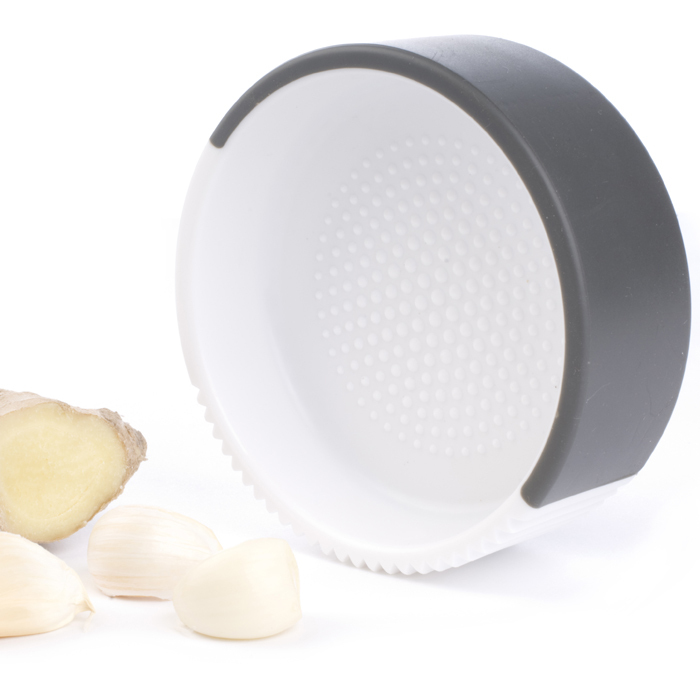 This is the fastest, smartest way to prep garlic and ginger. Bash your garlic clove with the rim to remove the skin, then roll it under the ridges to squeeze out every last gram of fragrant oil. 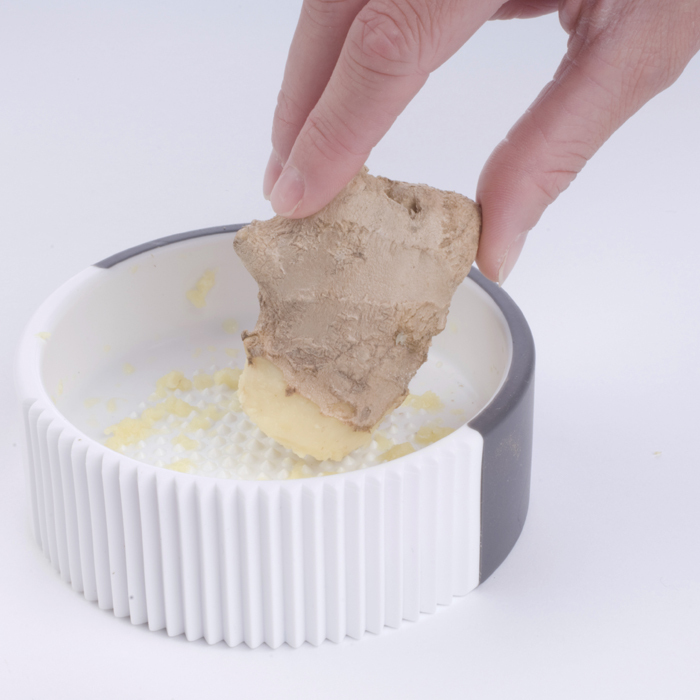 Rub your ginger against the dimples and in seconds it’s pulped and ready to use. 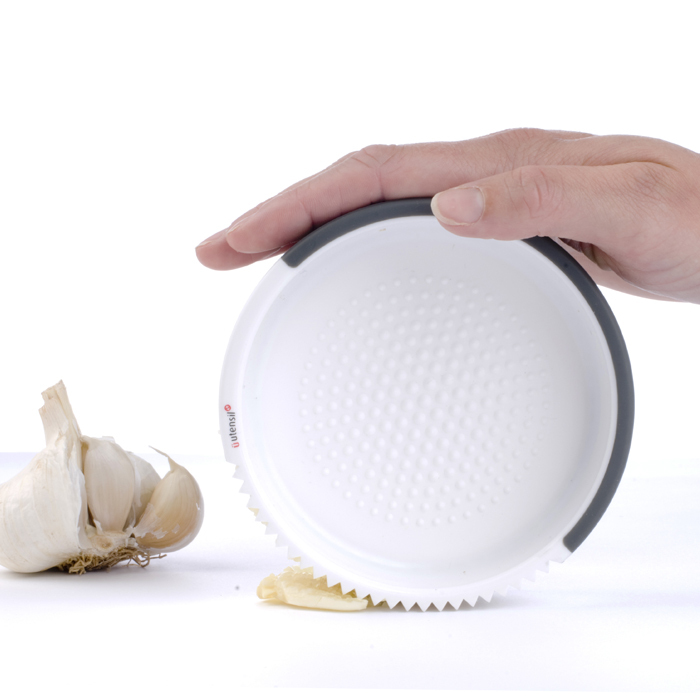 Unlike conventional presses and graters, residue simply rinses away. • Finely pulped ginger in a flash. Tip: Make surface wet when pureeing wet items such as strawberries.